2006 Florida; 2009 District of Columbia; 2009 Southern, Middle, and Northern Districts of Florida Supreme Court; 2009 U.S. Court of Appeals. 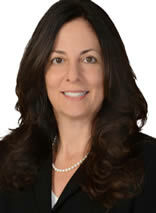 Grace Murtada has lived in South Florida throughout her life. She attended Florida International University where she received a Bachelor of Art in Business Administration. Grace then earned her Juris Doctor degree at St. Thomas University School of Law in Miami, Florida. She is admitted to practice in all Florida State and Federal Courts. Grace is actively involved in several community organizations as she serves on the Board of Directors of Friends of 440 Scholarship Fund and also participates in Give Kids the World. Throughout her career, Grace has defended claims on behalf of various insurance carriers, servicing agents and self-insured employers in the area of Workers’ Compensation.